I work as a finance manager for a division and we deal with another division on an inter company basis. For whatever reason myself and the Finance Manager of the other division have not really seen eye to eye. Whilst in the first few months of work we had a pleasant relationship I feel this turned toxic when I began improvement plans within our division and identifying areas for improvement. Family and friends have suggested he's just jealous because I'm more forward thinking young and a woman so probably just feels threatened. He sends me inaccurate information, has requested information from me then changed it and sent it on to others for no justified reason, has sent me information literally 1 minute before a meeting. 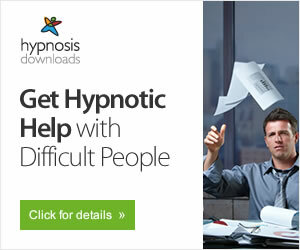 We have 360 appraisals in which I know the feedback was from this person where they have completely slated me for my work, performance and personality some of the comments made were completely unfounded and really hurtful saying that I was manipulative and had hidden agendas that it was 'my way or the highway'. This person however seems to be very influential in the business and the comments made above have been picked up by the directors. I have explained to our finance director the issues I am having and was surprised by the response I got which I did not find supportive. The directors comments were I needed to build a working relationship with this person and identify weaknesses in my own traits that is stopping this from happening. No matter how much I try with this person nothing works, I have been friendly towards them despite the above and during certain occasions they are friendly back but then stab me in the back next chance they get. I've just got back from another day of passive aggression from this person and I am at the point where I feel I need to leave the company because I just can't take it anymore. Due to the nature of the work I am unable to avoid this person but I'm at the point where I can't stand to be in the same room as them and exchange fake pleasantries. Well; that is an interesting 'ho hum' story. NO, I'm not making light of your plight, the ho hum is my way of saying: "you aren't the first to have it happen." (the passive aggressive thing that you feel is happening. YES; you are probably correct in what you feel; you are being targeted; but in a NICE way by a person as educated as you are. There's another term for this as well. POLITICS. Office Politics. It has been around for as long as PEOPLE have been around. One person needing to prove themselves to be better . . . than the (new) guy or gal in the office. You say it started out friendly but then things seemed to change between you and the person who is in a different division (of same firm I take it). It's not necessarily a given that your friendly co worker (I would guess you don't report directly to him?) is not the main culprit. The line in your story that stood out for me was: Began improvement plans and identifying areas for improvement within our division. Do you mean your division, his division, or BOTH your division and his? i.e. : company wide. 1. When you began to identify areas for improvement…were you ASKED to do this; or was this your own initiative (being forward as you say?) I remind you of a very important guy who went after changing the status quo in the temple area; overturning tables and causing quite a 'raucous' … It was after this the temple authority 'big wigs' target HIM (all capital letters on HIM) for being ousted. 2. Another authority in that day was a Roman Governor (exec) who though he knew this guy did no wrong…followed the path of LEAST resistance to himself (this is the politics thing of human nature) Be approved of 'by the most' not 'the least' and if you somehow ruffled the wrong feathers by upper management by identifying areas to improve when NOT asked to do so…it is possible your other division finance manager does not wish to be associated with YOU for fear of being implicated with you. (that's office politic. Be loyal to the one's who pay his wage. It is possible that the powers 'greater than he' are talking TO him…to not be overly cooperative. (yes, i sounds petty and seems impossible but NOT implausible) I state this is possible when you tell me he only CC's you but replies TO his manager. (he doesn't want it seen he only talks WITH YOU behind the back of the manager) MMM…another way of seeing? 3. "I don't think you understand what we've been asked to do" double speak 'hidden' but 'helpful' message (there's another term I can't think of) AHH 'veiled' advice…perhaps what the management proper told him to say…to you; young and eager taking initiative. (how long were you with firm before identifying areas to improve? That's an important fact to unraveling this mystery. 4. it is rude to make you wait in his office when YOU arranged a meeting with him to go over team tasks. Again, YOU arranged? is this other division manager there more years than you. His making you wait is a passive aggressive veiled way of saying; I am here before you, I have tenure…YOU will respect me and not the other way. (be humble; a better way would be to defer FIRST (SUBMIT) to his greater presence (humble is exalted, exalted get humbled) NEVER TELL…ASK when he wants you to to go over the team tasks. This gently reminds him to do so (or if you wish a one line email memorandum so there is proof you asked) Now it is for him to call you in and GO IMMEDIATELY…forget the way of him; GO immediately as the good employee and worker (not owner of firm) that you are. So…if you believe you jumped the gun in eagerness of your youthfulness and wanting to make a good name for you; you might do yourself GOOD if you humbly went to whomever you directly report to and state a simple I'm sorry; I was wrong. I LOVE my position and in the eagerness of sharing my knowledge with a great firm, I realize I was a bit too forward to speak of making changes where I didn't know the whole story of why things are done as they are done (whatever) If you can forgive me, I would like to start fresh. I defer always to (give name of the one who you perceived was giving you hard time) he knows a lot and I wasn't listening to him as closely as I should If, for the better of the firm, you would prefer I leave; I will submit my resignation within whatever time you say (give them option) i'm sorry. They will appreciate the humbleness, might keep you 'forever' or they may say "it is best you do leave" (then give a nice resignation letter a few days later, keep it between you and 'them' (not discussing with other workers) and YOU WILL FIND NEW WORK (and be wiser for the …first job? Don't be hard on yourself…there was another guy who in his zeal and passion 'forgot' his wise parents and left the caravan to preach and teach when young. HE went back with his parents and 'grew in wisdom and stature…with God and mankind"
MAYBE I'M COMPLETELY OFF BASE…so forgive me, but you did ask for advice. So, I gave it. Never give advice unless asked. Human nature doesn't want to hear it. PS…after thinking it over; forget about going to the one you report to apologize. If they didn't call you in first to communicate with you when they perceived some minor fault 'they saw' (your over zealousness) They will never just 'forget' when you apologize and begin anew. They can't begin anew if this is any good size firm. Others watch. Their actions are their way of saying: get the message; we don't want you here. DO NOT allow them to terminate you; it will be as a Scarlet Letter…for a long time. RESIGN; take the blame 'to yourself' …praise them as a business for what you learned from them, and THEY will then be merciful and not speak ill of you should another business call and ask of you. They will state the dates of your employ and that you were hard working. and go home to enjoy loved one's. To all older than 33 years old still 'just a worker' without any official designation of one's expertise and knowledge via a title given: kNOW your worth but know human nature as it is today. If you can help them while protecting yourself from what is happening in working environments...you who worked hard many years...YOU ARE BLESSED. Shhh don't let the young know you are...they are insecure and will be jealous of anyone BLESSED. THINK AND KNOW YOUR WORTH...OLDER WORKERS BUT NOT THAT OLD. Join in and write your own page! It's easy to do. How? 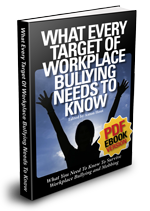 Simply click here to return to Workplace Bullying Stories. Sick and Tired of Bullying at Work? With Workplace Mobbing, Why Does Management Get Rid Of The Victims Instead Of Those Toxic Psychopaths? Copyright © 2007–2019, OvercomeBullying.org, All Rights Reserved.